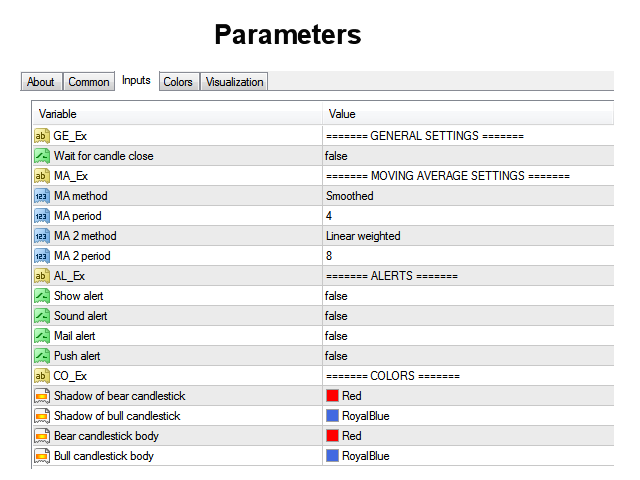 This indicator can send alerts when a Heiken Ashi Smoothed color change occurs. Can send all types of alerts. Option to delay the alert one bar in order to confirm the color (trend) change. Wait for candle close: 'true' or 'false'. Setting it to 'true' will delay the alert to the opening of the bar following the bar where the color change occurred. MA method: Default is Smoothed (SMMA). MA period: Default is 4. MA 2 method: Default is Linear Weighted (LWMA). MA 2 period: Default is 8. Colors: Set colors for the Heiken Ashi Smoothed bars and shadows (wicks). Good in higher time frame. 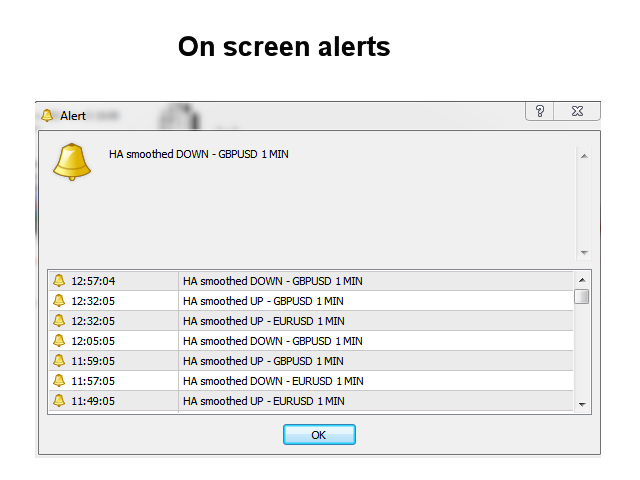 Typical heiken ashi smoothed with alerts.